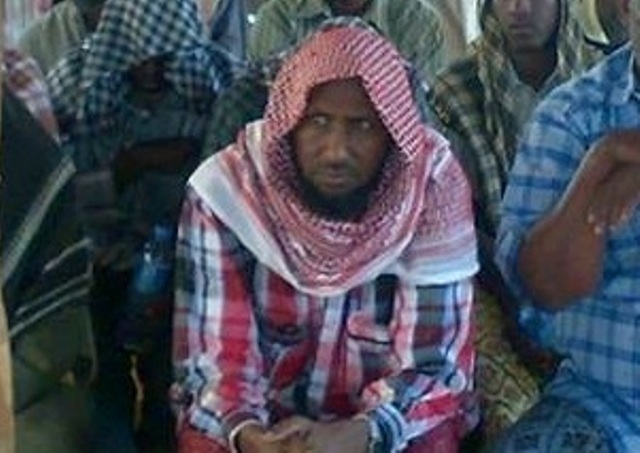 Ahmed Diriye “˜Abu Ubaidah’, the new Emir of Al-Shabaab. A month has passed since the US Government killed Ahmed Abdi Godane, former emir of Al-Shabaab, with a targeted air strike. Godane’s replacement, Ahmed Diriye “˜Abu Ubaidah’, has yet to issue a statement about his intentions and vision for the militant group. His jihadi credentials, however, were recently enhanced when the United Nations placed him on its list of international terrorists subject to sanctions. Not to be outdone, the Somali government put a $2M bounty on his head. Al-Shabaab vowed to retaliate for Godane’s killing and the group bombed Mogadishu two days after the new emir’s coronation – an incident that led to the deaths of 16 civilians. It is however, likely that planning for the attack was underway long before Godane was killed. It is a challenging time for the new emir to come into power. Operation Indian Ocean; a joint military venture by the Somali National Army and the forces of the African Mission in Somalia (AMISOM), has slowly been pushing Al-Shabaab from territories previously under its control. The next major target is the strategic port city of Barawe, which was formerly the headquarters of the group and remains the locus of the highly profitable charcoal trade. Recently, Al-Shabaab has been losing fighters (Somalis and foreigners) to ISIS in Iraq and Syria with jihadists eager to relocate to the Middle East rather than Somalia. Moreover, Al-Shabaab has slowly been suffering desertions due to a 45-day amnesty the Somali government has extended to its members. Although the defection is slow, the amnesty program has diminished the likelihood that the government will punish many of the youngsters who had joined the group””willingly and unwillingly””becoming its foot soldiers. After Godane’s death, the leaders of Al-Shabaab met for days in Baraawe to discuss the challenges faced by the group and to reorganize its power structure. Mahad Karate has been appointed deputy emir and Bashir Mohamed Mohamoud “˜Qoorgaab’ as the head of military operations. Karate was widely rumored to be taking on the top job after Godane, but the leadership opted for a conservative and smoother transition of power when it elected Ahmed Diriye, Godane’s deputy. The new emir and his deputy, Ali Dheere (the official spokesman), form the nucleus of a faction in Al-Shabaab that adheres closely to Godane’s philosophy of governance. This faction was known for its brutality, selected assassinations of rivals and a general mistrust of foreign jihadists. Curbs to the powers of the “˜Amniyaat’ – a powerful branch of Al-Shabaab responsible for intelligence and assassinations which reported directly to Godane. Shangole proposed that the Amniyaat be brought under tighter control and that the number of the assassinations be limited. He also proposed that attempts should be made to limit civilian casualties during bombings. Make the Qur’an and the Sunnah (tradition) the ultimate arbiter in conflict resolution instead of the emir being the judge and jury. Close all secret detentions operated by Godane. Initiate reconciliation talks with those estranged leaders of the group, such as Mukhtar Robow, and others who are currently in hiding. Al-Shabaab’s new leaders are likely to spend the next few months consolidating power rather than rushing to make drastic changes (such as those proposed by Shangole.) The loss of territories, while sizable, is unlikely to change the economic power of the group which relies, among other things, on extortion even in the areas controlled by the government. Many Somali merchants still pay monies to Al-Shabaab, euphemistically called zakat or “˜alms’, for fear of assassination. The late Al-Qaeda leader Osama bin Laden once characterized his Sudanese host, the National Islamic Front, in the 1990s, as a “mixture of religion and organized crime.” Jihadi groups like Al-Shabaab are no different and see extortion as a means of survival. Neither the Somali army nor AMISOM have an appetite for a long and sustained war with the group. Government forces are small, undisciplined, and haphazard, and the African forces prefer a slow and plodding approach to defeating Al-Shabaab – a campaign that is coupled with political and economic programs for liberated areas. Unfortunately, these liberated areas are more likely to return to the hands of Al-Shabaab because no effective administrative and economic programs have been put in place. It seems unlikely that Al-Shabaab will disappear from the political scene of Somalia any time soon as it remains a force that stands against the legitimacy of the central government, the presence of foreign troops in the country and the absence of sharia. These are all powerful motivating factors for many Somalis. Hassan M. Abukar is a political analyst and can be reached at abukar60@yahoo.com. Nigeria: Could “the rift” derail President Buhari’s agenda? Thanks for this informative article – just wondering if you had any sources / links on al-Shabaab fighters going to fight for ISIS? The number of Al-Shabaab fighters that went to Iraq and Syria is insignificant and it came mainly from a group of Al-Shabaab fighters (mostly foreigners) that have been at odds with the leadership. According to my source, these jihadists did it on their own.